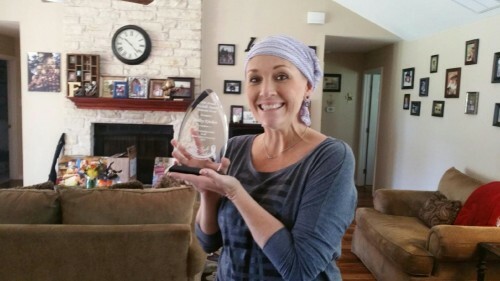 Survivor Spotlight- Holley Rothell Kitchen~ Gone But Never Forgotten! “I’ve been in this storm and rough seas it seems like a while now…and I know others have had their storm recently too. As I surface, and gasp for air I’m reminded I’m not alone in this turmoil. My life boat is always at my fingertips. Jesus says it’s times like these that we are truly BLESSED. My God is still alive in me! Watch Good Morning America discuss Holley’s message here! See The Huffington Post’s coverage of Holley’s message here! 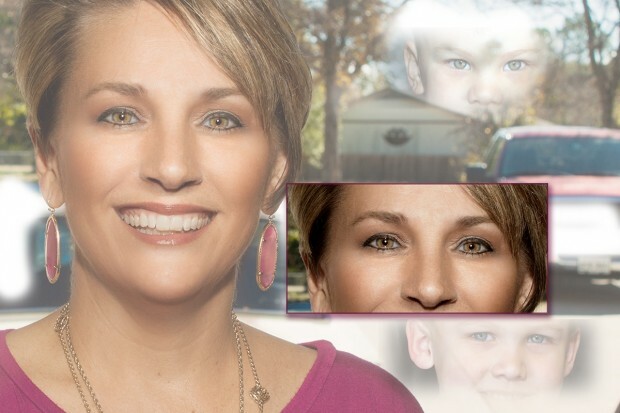 People featured Holley’s awareness raising here! We are saddened by the passing of our dear friend Holley Kitchen on January 12, 2016. She will live in our hearts forever and her smile will surely never fade from our memories. Holley, we will always love you. There is a GoFundMe account set up for her family, but please be aware that they take approximately 6% commission out of your donation. You may also donate directly through Paypal to the email address: holleykitchenandthecancerlifer@gmail.com. This is beautiful Holley. Bless you and your family. You are truly an amazing person. God bless you and your continued faith is a testimony to all. I message you on my late son’s facebook page – PC Related. I am an 18 year survivor of breast cancer but not at the stage you are. of you and hope you are successful in your battle. I am a stage 4 metastatic breast cancer person also. I’m with you ….I’ve started a non profit for all us called purple-power.org. Please contact me so we can educate together. Holly, your video touched my Heart as I am sure it did for thousands of others. I said a Special Prayer for you. I Claim a Miracle Healing In Jesus Name for you and your Family. In all things Praise God. Bless you for sharing this most sacred part of your life. My wife Amy and I will include you in our Daily Prayers. Much Love for you. a friend just shared your youtube video and I am so moved by it I really felt like ‘tracking’ you down and thanking you. My backstory; 1 year ago stage IV ovarian, inoperable, 1 yr left. Wrong of course, I got the surgery and was doing great up to 2 weeks ago. Metastatic lymph nodes in my belly and 10 brain tumours, even though ovarian NEVER goes to the brain. I once again have received messages of a sort – this is not the end just another bump/left turn etc. One of those messages was when I flew home from the radiation treatment the small plane I was travelling in crash landed….and the pilot, co-pilot and I walked away without a scratch. Next month, the house I have been dreaming of and planning for decades starts coming into reality and I will be in there by Christmas. I had a split rail fence put up along my driveway last month (another dream come true) and in my mind I immediately saw the poppies growing along it next spring. Your video is wonderful, your facial expressions so beautiful and familiar too. I have several friends who have trouble with my positive attitude, they say I am in denial. I say so what? Whatever I am in, I feel great and I have no fear. I don’t understand it myself really….but I do feel happy and content in my life and I believe there are curative powers in that. thank you for your efforts at educating people, I am sending you a lot of loving energy – something I get a lot of from my community and friends and I can feel the difference.